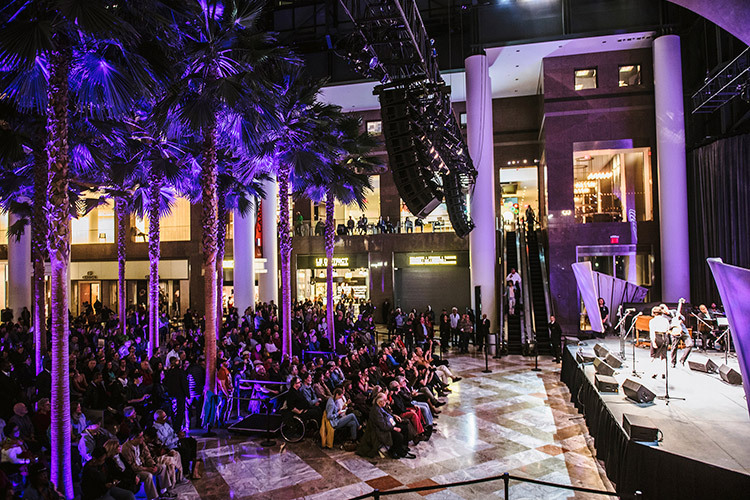 Arts Brookfield, the cultural arm of global real estate corporation Brookfield, is deploying an MLA Compact system to reinforce an eclectic mix of concerts, festivals, symphonies and other artistic events presented for the community throughout the year in the Winter Garden at Brookfield Place, a majestic 10-story glass vaulted atrium in Lower Manhattan. 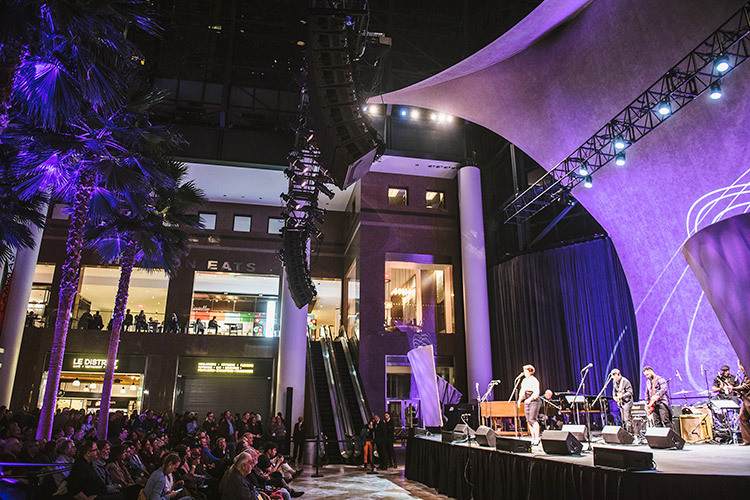 Mark Torchia, technical director for Arts Brookfield points out, “the Winter Garden is challenging because it’s a huge, reverberant glass dome that traps all of the sounds within it including ambient noise from the retail outlets. 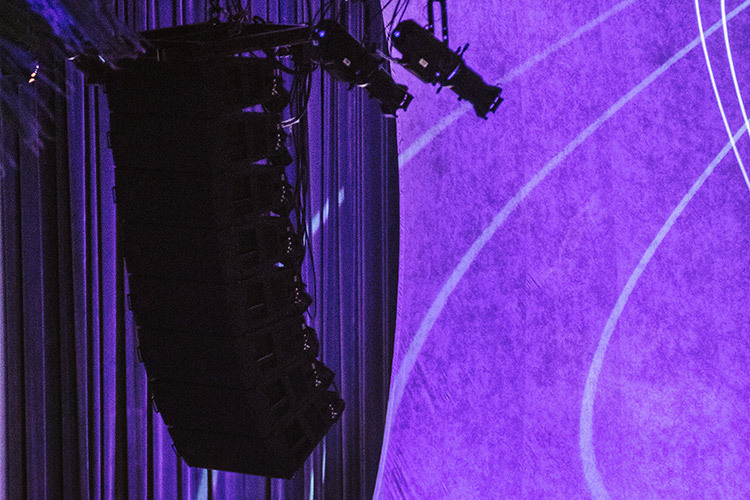 “We chose MLA because of the control offered by the system that lets us put the sound where it needs to be and avoid areas where we don’t want it. 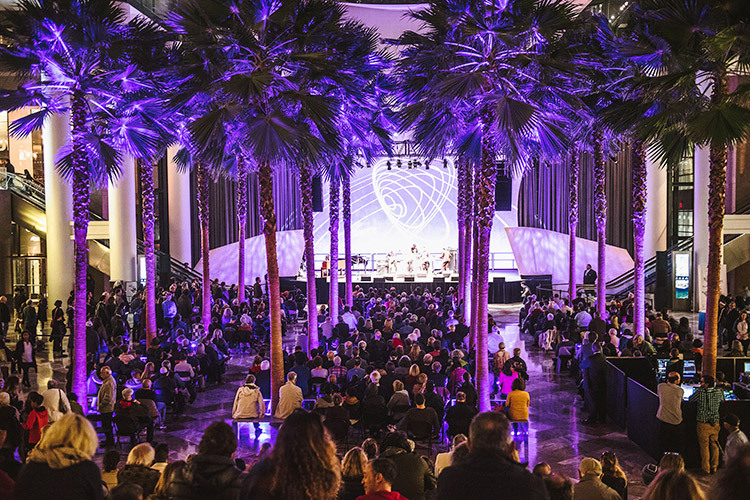 The Winter Garden’s audience space graduates upward. 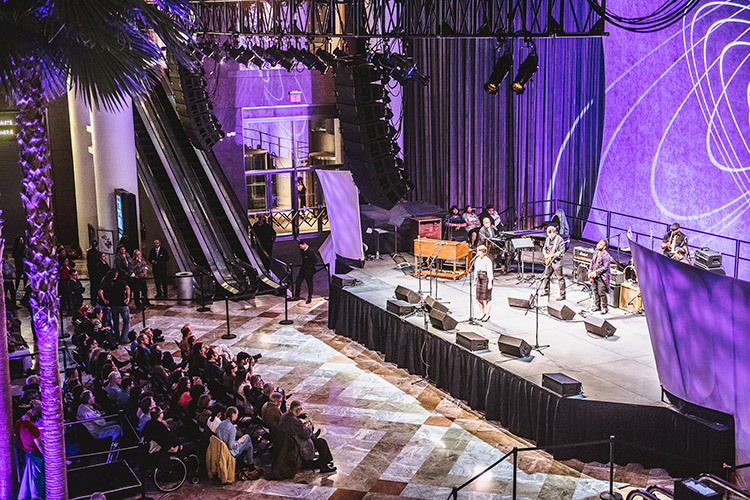 There’s a monumental marble staircase – a popular place for people to sit and watch the performance – so we had to take care of people on the floor as well as those in a more elevated position.